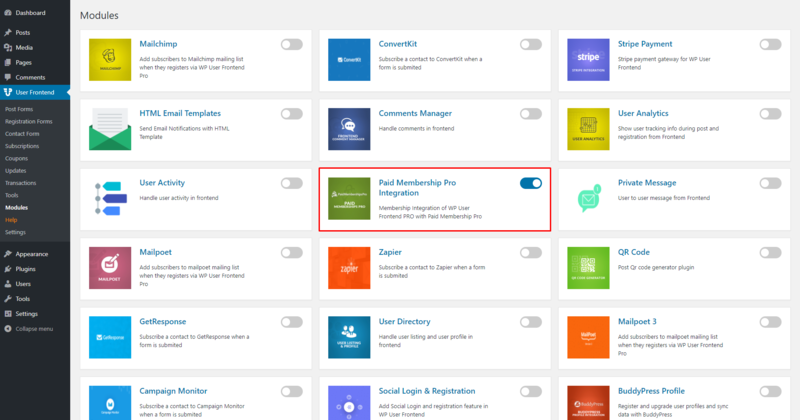 WP User Frontend Paid Memberships Pro add-on for the WP User Front-end PRO plugin that allows you to integrate with Paid Memberships PRO plugin to manage your site users subscriptions and membership features with additional payment gateways. 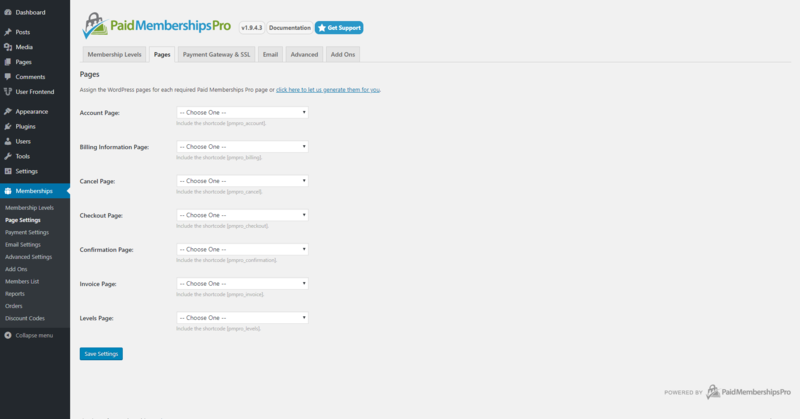 Paid Memberships Pro is a WordPress Plugin and support community for membership site curators. 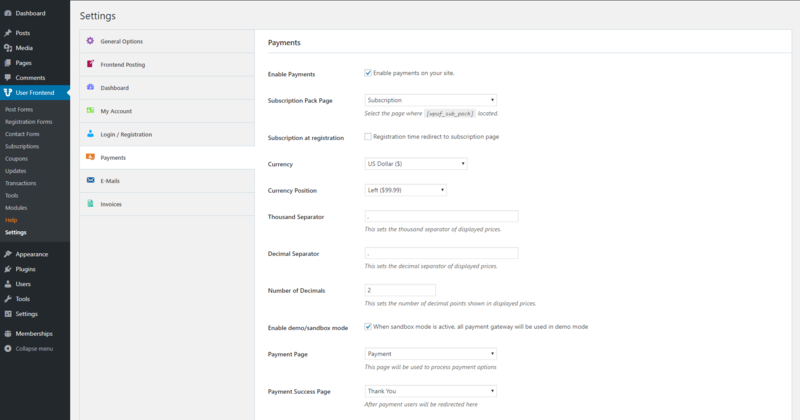 PMPro’s rich feature set allows you to add a new revenue source to your new or current blog or website and is flexible enough to fit the needs of almost all online and offline businesses.